DAVID LE/Staff photo. 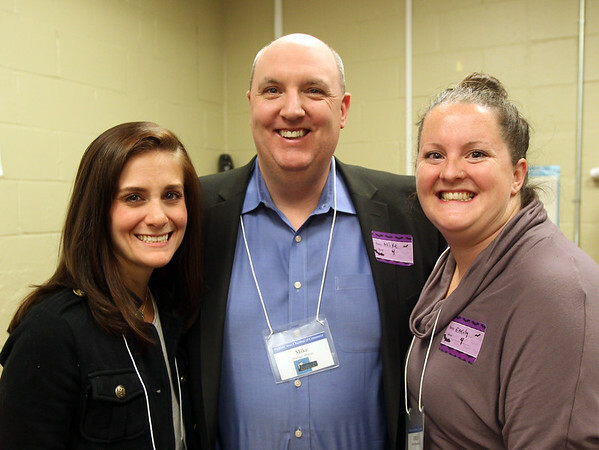 From left, Leigh Welch, of Pure Barre Lynnfield, Mike Murray, of Peabody Wealth Advisors, and Emily Dzengelewski, also of Pure Barre Lynnfield, at the Peabody Area Chamber of Commerce Business After Hours event held at Cranney Self Storage on Thursday evening. 10/29/15.